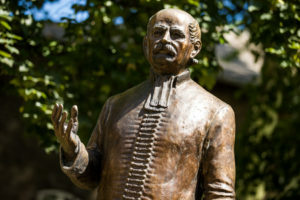 The discovery of Ignác Semmelweis is well-known and acknowledged worldwide, which is also confirmed by the fact that some of the documents about his discoveries on childbed fever, published between 1847 and 1861, were declared part of the world memory by the UNESCO International Advisory Committee in 2013. Part of the Semmelweis documentation is the Die Aetiologie, der Begriff und die Prophylaxis des Kinderbettfiebert (The pathology, concept and prevention of childbed fever), a publication on the physician’s discovery related to childbed fever, published in 1860 in Vienna (with the year of 1861), as well as a writing published in The Medical Weekly. 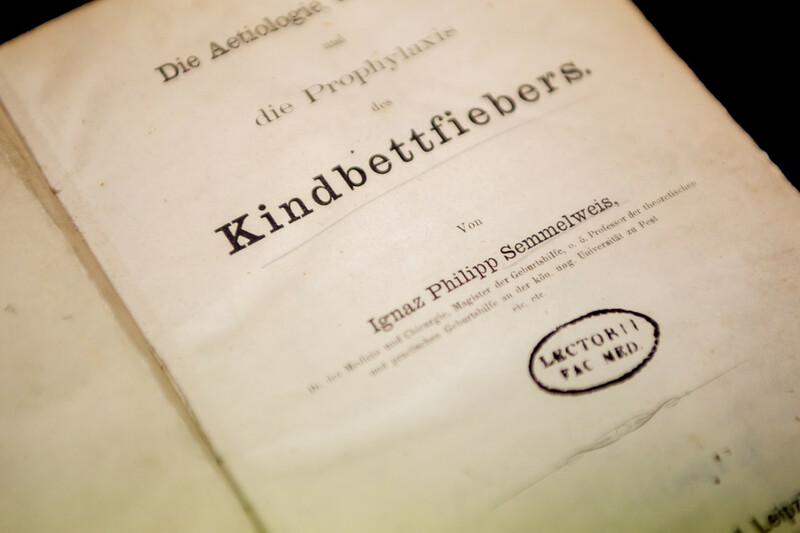 The entire heritage, the German and Hungarian publications and the letters are enshrined in the Semmelweis Medical History Museum, Library and Archives. The UNESCO’s Memory of the World Programme was launched in 1992 with the purpose of facilitating the identification, preservation and dissemination of the rare and endangered, written or audiovisual documents and collections with universal value in the member countries. Hungary is represented by six legacies: besides the discovery of Semmelweis, the patent application under the name of “Radioskop” by Kálmán Tihanyi, the Bibliotheca Corviniana, the Tabula Hungariae, the Kőrösi Csoma Sándor Collection in the Library and Information Centre of the Hungarian Academy of Sciences, and János Bolyai’s work titled Appendix were added to the list. In addition, in 2015, based on the proposal of the Hungarian UNESCO Committee, the UNESCO General Conference listed the 150th anniversary of Ignác Semmelweis’s death among those anniversaries which are worthy to be celebrated by the organization.